Carefully crafted, delicious, affordable, made from scratch food. 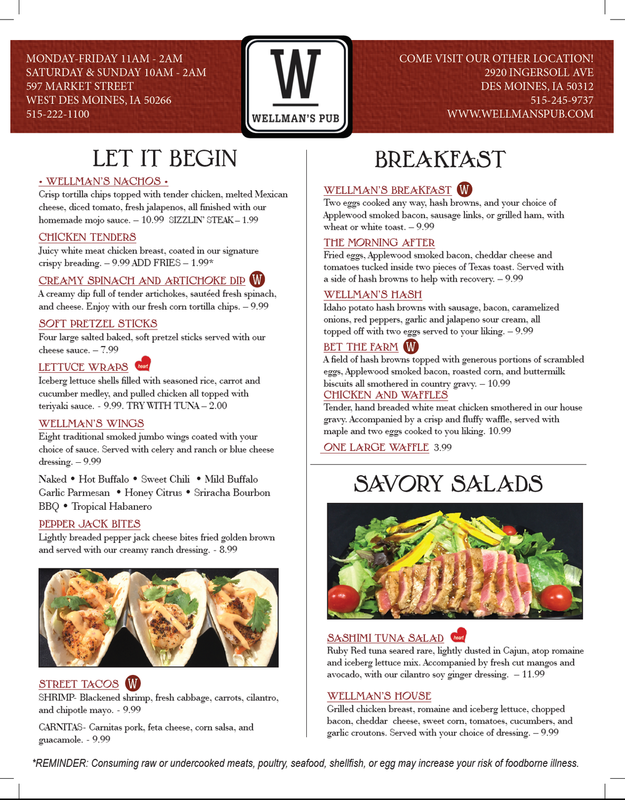 To view or print a larger pdf version of our brunch menu, click here. 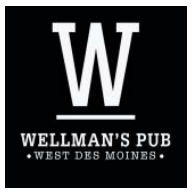 Wellman's Pub & Rooftop Gluten Free Options: One of the largest selection of gluten free items at a restaurant in Des Moines or West Des Moines! 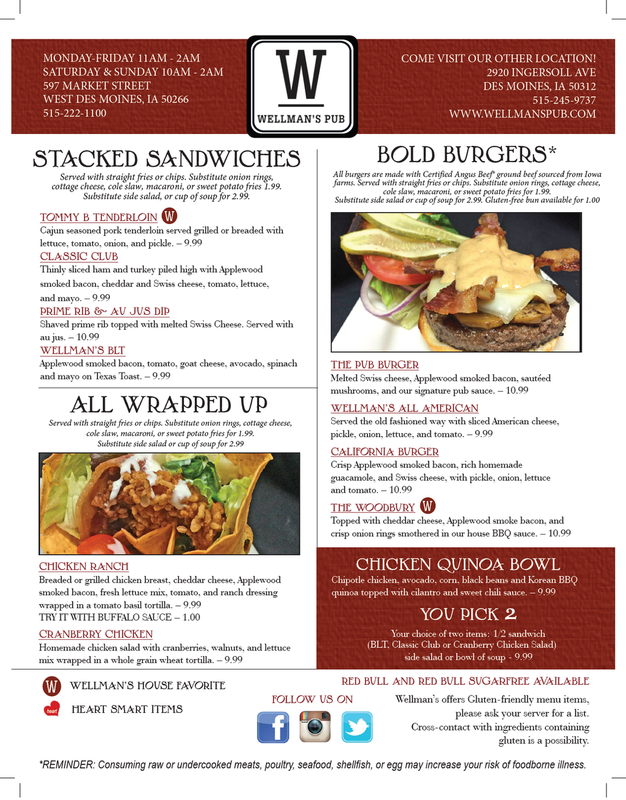 Visit Wellman's Pub & Rooftop for Brunch every Saturday and Sunday from 10am-2pm. Hold your special event here at Wellman's, click here.